Local historians attest that the town's name derives from the Latin word "lauretum" (small wood of laurel trees), while for others, from Greek and means place with a superb panorama. 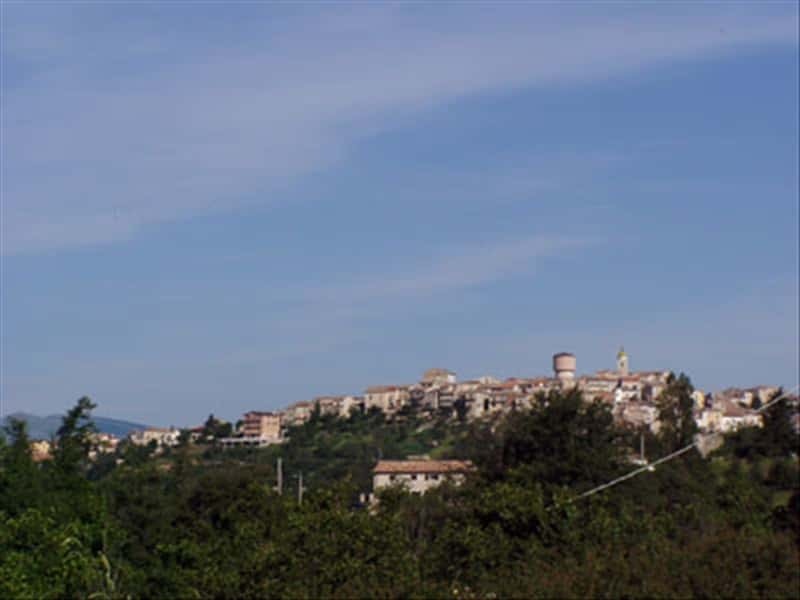 Municipality in the province of Campobasso, located near the valley of the Biferno, Oratino was probably founded by the Normans: the first documented the existence of the village dates back to the XIII century, during the period when it was under the Angevin. Throughout its history it suffered the succession of several landowners, including, over the centuries: the d'Ardicourt, the di Lando, Pietro di Sus, the d'Evoli, the Gambatesa and the di Capua, until it was ceded to the Rizzo Family who were Barons of Naples , then it passed by inheritance to the Caracciolo. Subsequently the domain passed from the Coscia Family to the di Silva. In the first half of the XVII century, the fief was sold to Duke Vitaliano, then to Giuseppe Giordano, an educated person. During his rule the city buildings were embellished by the skillful work of several local artists that make this town, unique of its kind in the entire Molise region. The old town center, located in the valley was abandoned due to a disastrous earthquake occurred in the XV century, and since then the population concentrated the development of a new centre, where it is situated today. - the Watch Tower, situated on a rock spur, not far from the main center, is the remaining testimony of a medieval castle with the adjacent village that was destroyed by a disastrous earthquake occurred in the second half of the XV century. The very charming structure, it has a square base with a height of about 12 meters. This town web page has been visited 19,754 times.